It’s interesting because we often drink these without much concern for what’s actually in them. The same can be said for diet pills. Most people see the promise and will instantly take them, even without looking at the label and doing some research on the ingredients. At the end of the day, we want the results promised on the label, and we’re less concerned about what’s actually in them, or how (if) they actually work. If you could magically lose weight without having to learn anything and only adjust your eating habits slightly, would you do it? Almost everyone would say yes. And that’s why Slim Fast shakes have been in business for 40 years. They offer a simple solution to what seems to be a complex problem. Their most popular message is to replace 2 meals with a slim fast shake, indulge in 3 snacks to curb hunger, and eat your favorite 500-calorie meal for dinner. An average Slim Fast shake will have around 200 calories after you add 8 ounces of skim milk to the mix (as per their directions). So 2 meals of Slim Fast shakes = 400 calories. Then you choose 3 of their snacks, which are 100 calories each. Then you have a 500-calorie meal for dinner. 400 (2 shakes) + 300 (3 snacks) + 500 (dinner meal) = 1200 calories. 1200 calories is likely two-thirds to one-half of what’s needed for a small woman who’s exercising regularly. So if you follow the Slim Fast plan, it’ll work for sure, but not because there’s anything special in the shakes. It’s because by default, it’s limiting you to 1200 calories per day, and half of the day’s calories are sure to be subpar because they’re coming from a low-quality powder of mostly carbohydrates (the protein comes from the milk). We have a bunch of gums, carrageenan, cellulose, and synthetic vitamins and minerals. Now I’m not saying that this is bad to have in a pinch, but if you make this a dietary staple, I fear you’d be missing out on ample amounts of nutrients over time. And not only that… for the price, it will actually become quite expensive if you ever tried to get a reasonable amount of calories from it. So instead of limiting your intake of real, whole food to a certain caloric goal daily, you’re having subpar food in place of something that would be healthier for you. 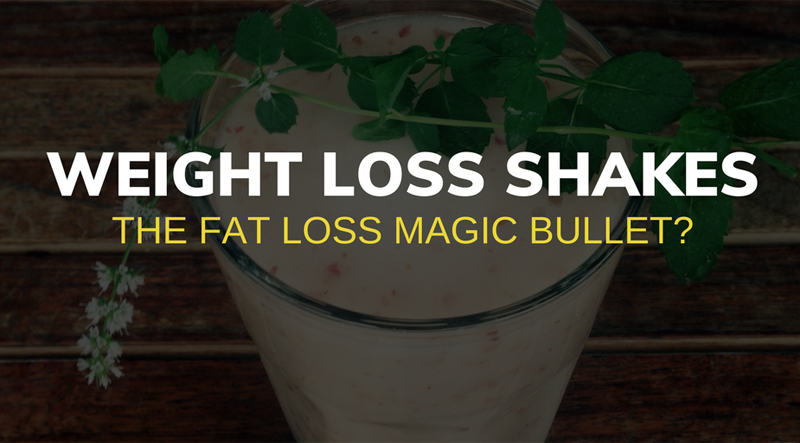 Slim Fast, and other weight loss shakes are nothing more than food. And as I’ve mentioned before, no fat burning foods actually exist. 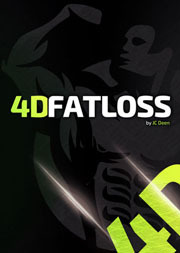 Fat loss happens by creating a caloric deficit, exercising regularly, and managing your caloric intake over time. A very common occurrence for many people trying to lose weight or get into better shape is for a friend reveal an incredible weight loss shake or supplement they’ve been using and how it’s helped them lose weight, feel better, and get into shape. Most of these products are produced very cheaply and contain average (at best) ingredients. On top of that, you have to deal with slimy sales people trying to get you to purchase from them, and join their ‘business opportunity’ so you can make money consuming your ‘favorite’ products.  These above companies have some form of a weight loss shake that basically replaces a meal… In reality, it’s a formula similar to Slim Fast’s message: replace a few meals with our shakes, watch your weight fall off. While this message isn’t incredibly bad, per se, there is a better way. As you’ll see above, I’ve compared the cost of a homemade shake and a meal replacement shake from Advocare. 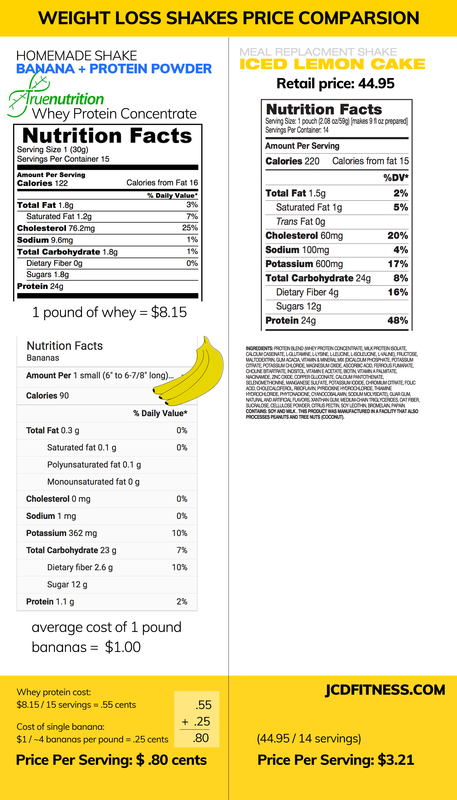 So it’s clear to see that you can get just as much protein, carbs, and fat with a shake you make at home AND you get to avoid a bunch of filler products like you would get in the meal replacement shake and/or in most protein powders. It’s clearly less expensive to make your own, and you get the benefit of knowing how much and exactly what you’re putting into your body. 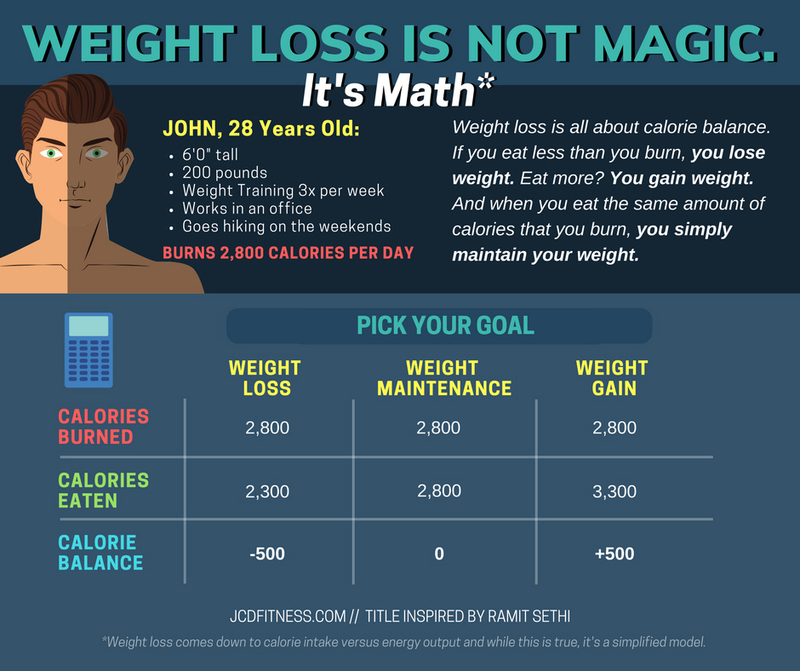 Weight loss is, fundamentally, basic math. At the end of the day, it goes like this. First you must find out how many calories you burn per day. See my maintenance calories article (there’s even a handy calculator). Second, you create a calorie deficit. So if the maintenance calculator says you burn 2,800 calories per day (just an example), you’ll want to consistently eat less than that. I don’t recommend more than 500 calories below maintenance per day for various reasons, but you want to create what we call a ‘sustainable deficit’ which means something you can realistically stick to. 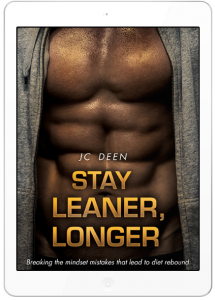 Sure, you could adopt the weight loss shake mindset and consume only 1500 calories per day, but you’ll not only lose weight fast, you’ll also lose muscle. I should also mention that you’re likely to also lose strength, and suffer throughout your diet. You need to add some more quality protein to your diet. They can also be helpful in getting you to start your day off right with a healthy breakfast, which can set you up for success later in the day to eat better and track your macros. Weight loss shakes tend to be low in vitamins and minerals, in general — especially the ones that come in a fancy container and promise to make you look like a million bucks by drinking them alone. Remember… most of these so-called weight loss shakes are created to fulfill a fabricated need in order to make your life easier and to avoid doing the work it takes to create healthy, sustainable fat loss. When you look at these labels, there is NOTHING magical in them. As I mentioned earlier, there are no true fat burning foods in existence and these shakes are just… food. Marketers label these as weight loss shake because most of them are lower in calories when you compare them to traditional meals and because they can server as a makeshift meal replacement. But at the end of the day, you can create your own, healthier version of a weight loss shake as long as you have a blender at home. At the end of the day, you’re controlling what’s in them. You don’t have to rely on a mass-produced, pre-made powder with subpar ingredients. Instead, you can load them up with all the healthy vitamin- and mineral-rich ingredients you desire. On top of that, you’re saving money. Do you make your own shakes at home? Let me know what you use in the comments below. Agree on using watermelon, it really makes the taste 10 times better. Don’t even want to work out how much I’ve spent on making up my shakes. Couldn’t agree more! Slim-Fast, Shakeology, etc are for people who just don’t know better. Homemade shakes with frozen or fresh fruits and leafy greens along with protein powder is the way to go – real nutrients for a fraction of the price! Also, I only make them for breakfast and sometimes a snack on extra-hungry days. I drink a homemade meal replacement shake daily. I use frozen watermelon, bananas, pineapples, and a triple berry blend from Sam’s, and fresh apples and grapes and Greek yogurt to make them. It’s super tasty and filling. That sounds very good, actually. I hadn’t thought of using frozen watermelon. I hadn’t either until I was gifted one from my in-law’s garden. I hate the grit of watermelon, so I don’t eat it, but I love the smell. I couldn’t bear to throw it away (no one else in my house likes watermelon either), so I decided to chop, blend, and freeze it for smoothies.